It’s possible that there is really only one answer to give anyone who wonders how Gary Vaynerchuk built his business empire. He wasn’t born to do anything else. Throughout history, there are names that will always be recognized as first rate entrepreneurs. People who saw an opportunity, put their skills to work, and went after their dream – and it worked. People like Henry Ford, who mass produced cars and changed the way the world moved. Or like Walt Disney, who decided to entertain people, gathered the best people in the business to help him do just that, and created a dynasty in the process. Modern day entrepreneurs are still forging their historical paths. Say the name Mark Zuckerberg and instant, status-worthy recognition flashes into the conversation. 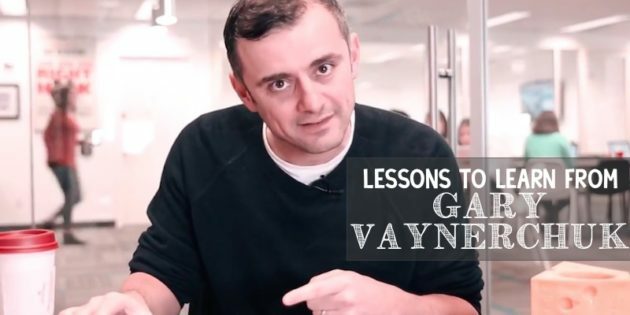 In the same way, in the world of business, there is no name quite like Gary Vaynerchuk. Born in the USSR, Gary and his family moved to the US when he was just three years old. They arrived in the country with nothing and in fact most of Gary’s childhood years were colored by the brush of that poverty. Even as a young child, he was ready for business, creating a never-ending stream of money-making ventures. Maybe it was his natural charm that sealed the deal, but the entrepreneurial spirit that drove him was alive and well long before he traded in his Big Wheel. From his teen years of working with his father at Shopper’s Discount Liquors, Gary realized the market that existed among wine drinkers. Devouring all of the information he could on the subject ultimately led to winelibrary.com and then in 2006 Wine Library TV – a YouTube channel featuring advice and reviews in his one-of-a-kind style. Making the rounds on talk shows, making connections everywhere he went, Gary quickly rose from just another guy with a business to a true force to be reckoned with. And this is really just the tip of the iceberg. In truth, to answer the question of how Gary Vaynerchuk built his business empire, it’s less about the individual moments traditionally seen as ‘success’. It’s more about that unique-to-Gary style and flair for realistic drama that motivates him with every business adventure. One of the most impressive aspects of Gary Vaynerchuk’s personality is that he is who he is, without putting on any kind of a front. He encourages anyone who will listen to know who they are and to be that, without apology and without looking around at what anyone else is doing or saying. It is this spirit of ‘do what it takes to get where you want’ that has taken Gary on a meteoric rise from his humble beginnings to a business empire that continues to grow exponentially by the minu. 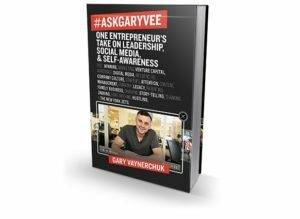 AskGaryVee Book: Accessible and empowering chapters addressing self-awareness, public speaking, embracing a long-term vision, and the hallmarks of a good leader show Vaynerchuk to be a shrewd, learned businessman who effectively dispenses real-world advice that can be adapted and reshaped as the winds of commerce and culture shift.